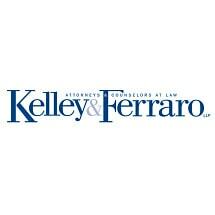 Kelley & Ferraro, LLP, in Cleveland, provides representation to people in Ohio and throughout the nation. For more than 15 years, our lawyers have fought for the rights of individuals against insurance companies, large corporations and other negligent parties. In this short time, we have become one of the largest asbestos litigation law firms in the U.S.
A large portion of our practice is dedicated to recovering damages for victims of asbestos exposure and mesothelioma. Our attorneys have worked with thousands of victims and their families. Were you exposed to asbestos in the workplace or a victim of secondhand exposure because of a family member's job? You may be entitled to compensation from the asbestos manufacturer and/or distributor if you have mesothelioma or another asbestos-related cancer. We represent asbestos and mesothelioma clients nationwide. The firm's attorneys have earned a reputation as tough trial lawyers who don't stop until they get results. We often obtain favorable settlements, but we are always prepared to take a case to trial when that is in the client's best interests. For a free consultation, please call 216-202-3450 or 800-398-1795 toll free.